The Arizer Air 2 and Arizer Solo 2 are great updates to the classic dry herb vaporizer lineup. In this video, I review both and compare these two very popular dry herb vapes. 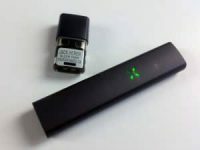 Both vapes are a unique blend of conduction and convection and offer the easiest daily and routine maintenance when compared with other dry herb vaporizers. Arizer recently lowered the price of these popular dry herb vapes by 25%. The Solo 2 is now 187 and the Air 2 is now 179. Both the Solo 2 and the Air 2 use the same hybrid heating and all-glass vapor path. 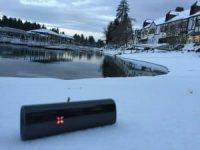 The result is a dry herb vape that cranks out 8-10 minutes of tasty vapor without any plastic tastes or feelings. The vapor from the Arizer products is easy. There’s no learning curve, just put the glass stem to your lips and inhale. The vapor is soft and gentle enough for a direct-to-lung inhale. Here’s where the real difference between these two dry herb vapes really presents itself. The Solo 2 has an internal battery that can only be charged with the included wall charger. It’s a beefy battery and will power the Solo 2 through 10-14 bowls, but it will take a couple of hours to charge. The Air 2 uses a removable 18650 battery and can be charged externally or internally. With a few extra batteries and an external charger, the Arizer Air 2 can become a perfect travel companion. What I really like about the Arizer Air and Solo 2 is the simple maintenance. The ‘per session’ maintenance is as simple as blowing out the ABV. If you empty the stem while it’s still warm, there will be minimal cleanup required. I don’t even bother brushing. The vaporizer itself only requires a light brushing or q-tipping when dry herb ends up stuck to the oven. It doesn’t happen often. Deep cleaning is as simple as soaking the stem in isopropyl alcohol. Or if you want a free trip to the moon, soak the stem in hot milk – drink the hot milk when the stem is clean. 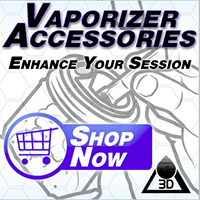 Puffitup and Planet of the Vapes are both authorized sellers here in the USA. Avoid non-authorized sellers, as there are counterfeits on the market. Buying from a legit dealer assures you’re getting the real thing and a valid warranty from Arizer. Damn YouTube nuked you… glad to see you didn’t disappear altogether! Yep, youtube isn’t cannabis friendly anymore 🙁 Glad you’ve found me! good to see that you still have this website. keep going! your content is very informative! Is there an appeal process? Could the voices of your viewers be effectively directed toward anyone at YT? Is there a petition or something? In any case, keep up the great work. Hey Troy! Greetings from Brazil! Nice to find you here! Thanks for your videos! Troy man, I’m completely in love with you. In a wholesome, albeit *high*, kind of way. it happens! Thank you for the love!